The only difference between us and the dealership is we charge less. WHAT MAKES OUR OIL CHANGES BETTER? Well, it isn’t just an oil change, it’s an oil service. 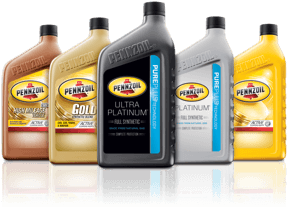 First, our certified technicians install premium oil and a premium filter. Then we perform our free True Service Inspection and give you a report card on the condition of your vehicle’s key components. WHY PAY MORE FOR YOUR OIL CHANGE? Our certified technicians provide all of the services necessary to maintain your vehicle’s warranty and more. The only difference between us and the dealership is we charge less. Prices are vehicle dependent – contact us to learn more. Is synthetic oil really necessary, or is it just an upgrade? Why Change your Oil and Air Filter? When your oil service is nearly over and a Kal Tire team member slaps that reminder tag onto your windshield, you might wonder, what does an oil change do, anyway?